The foreign Minister of Russia Sergey Lavrov during the meeting with students and faculty of the Diplomatic Academy of the Russian foreign Ministry made this Friday a statement, describing his vision of international relations. Of course, according to the Russian diplomat, the main problem in the world is USA, but all countries will soon turn away from them. Sergei Lavrov noted that «multipolarity, the emergence of new centers of power to maintain stability in the world require a search for balance of interests and compromises. Unfortunately, our Western partners headed by the United States do not want to agree on common approaches to solving problems. Washington and its allies try to impose their own approaches. Their behavior is an obvious desire to preserve the centuries-old dominance in world Affairs contrary to the objective tendencies of the formation of a polycentric world order. Moreover, in order to artificially keep their dominance, to regain the unquestioned position in the course are a variety of methods of blackmail, power, economic and informational pressure. They don’t stop to direct and flagrant interference in the internal Affairs of sovereign States – what is happening with Venezuela». Lavrov also shared his opinion that the economic power of the United States and its allies dries up, and promised the students that soon most of the world will get rid of their «diktat». 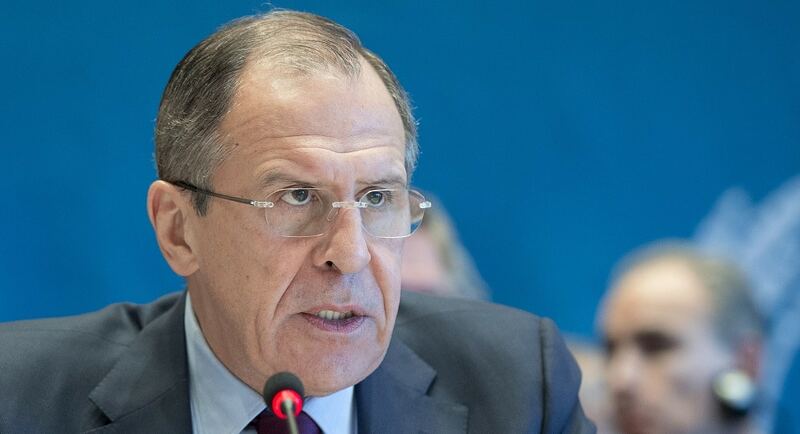 Accusations against Russia for aggression against Ukraine, attempts to dictate terms to the neighbors and the constant anti-American TV propaganda, Lavrov called deliberate «demonization» of Russia. April 14, Pompeo plans to visit the camp of the humanitarian community in Cucuta (Colombia) to communicate with those who supports Venezuelan refugees, and to assess the problems associated with closed-Venezuelan border. He said that Venezuela and all Latin Americans should be concerned about the actions of Moscow. «The arrival of the military and opening a helicopter training center in Venezuela — a clear provocation. Russia is exacerbating the already very dangerous situation in this country,» said Pompeo. Russian Training helicopter center was opened in Venezuela on March 29. According to the report of the state Corporation rostec, there will be training pilots and maintenance personnel, including combat helicopter gunships Mi-35 (export brand Mi-24) and transport-combat Mi-17 (export brand Mi-8).